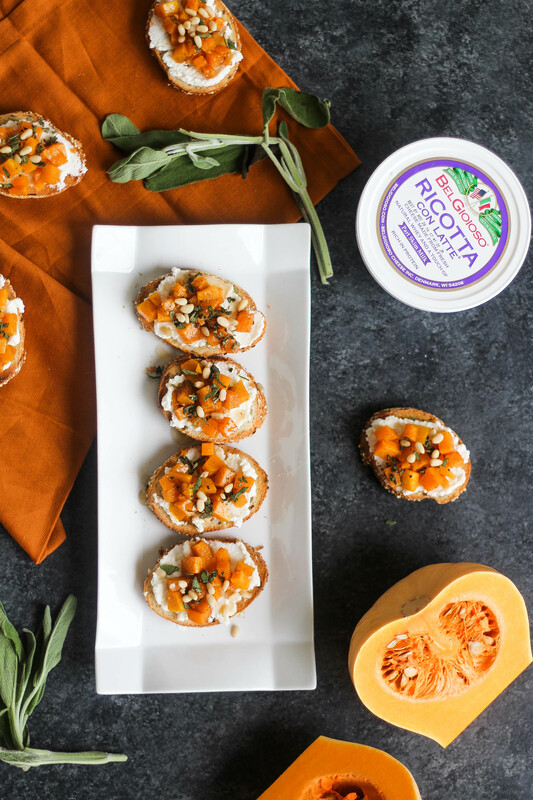 This Butternut Squash Bruschetta is the perfect appetizer to serve for your friends and family this year. 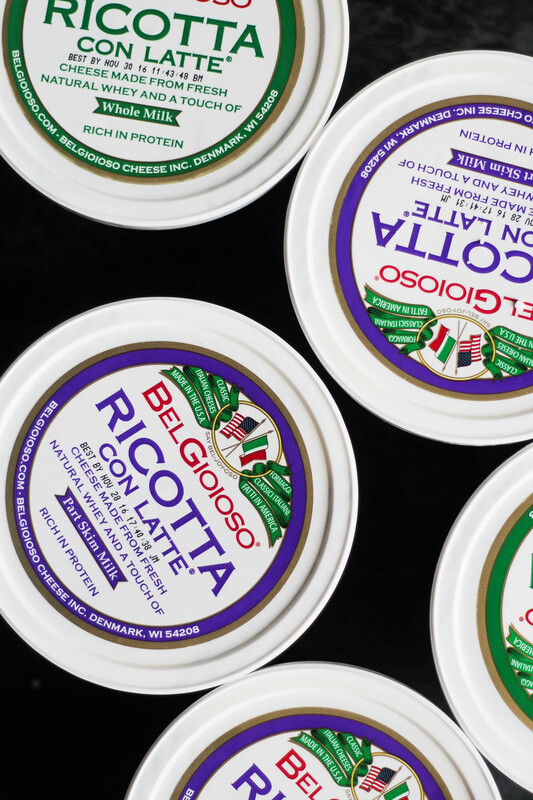 Using creamy BelGioioso Ricotta con Latte, each bite is full of flavor. I think when it comes to dinner, the appetizer is the least of anyone’s worries. The entree outshines the starters, by a landslide. When you’re planning a dinner party with your friends, think about it: how much time do you spend planning or worrying about the appetizers versus the entree? This is probably because appetizers tend to be a pain in the @$$. Yep, I said it. Sorry, appetizers. But really, whenever you have to multiply something small, by-hand, it’s probably going to be a pain! I mean, I see the hors d’oeuvres at weddings, where there seems to be a never ending supply of appetizers, and it blows my mind. I simply imagine the chefs in the kitchen slaving away, preparing 300 tiny little lamb chops. No thanks. It doesn’t have to be that way, though. At least in my life. You guys know me. I should have named this blog The Lazy Chef. 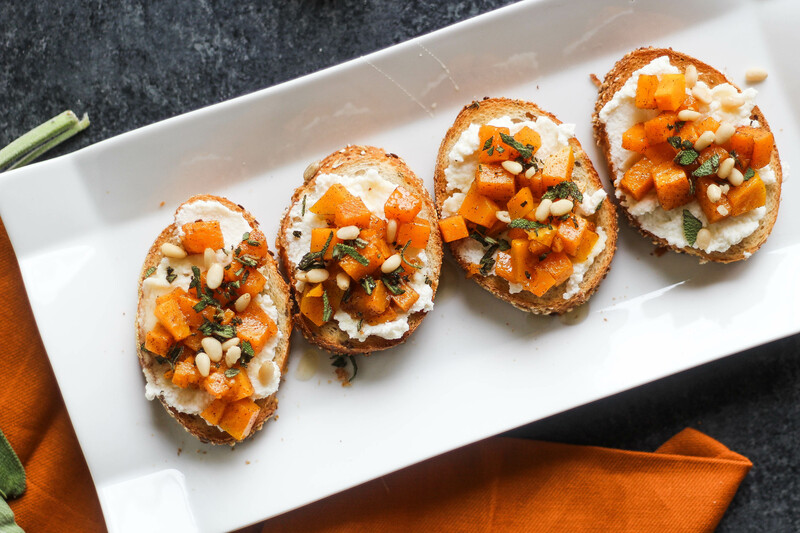 These Butternut Squash Bruschetta were one of the easiest appetizers, if not recipes, I’ve ever made. The only laborious part is chopping up the butternut squash. That’s it. The rest is just assembly. Bonus: you will look super professional and fancy because, come on, when you make hors d’oeuvres, your professional and fancy rating goes way up. 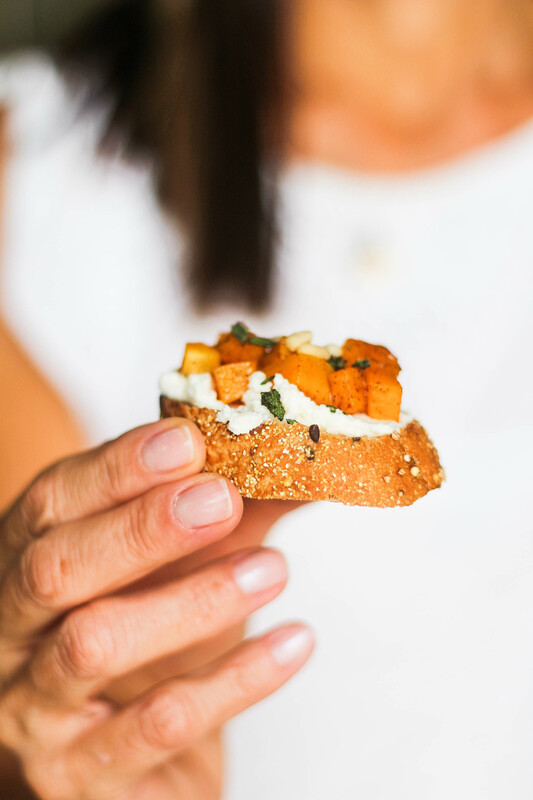 My favorite part about these Butternut Squash Bruschetta is the giant dollop of BelGioioso Ricotta con Latte on each one. 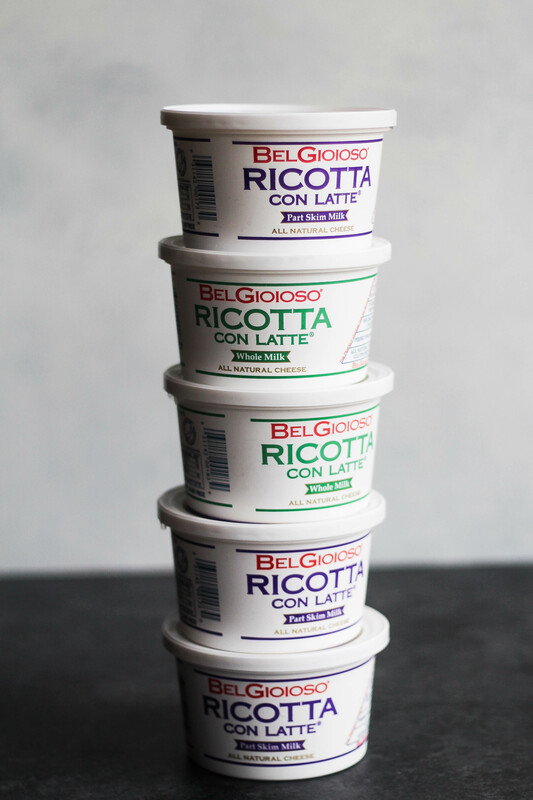 BelGioioso Ricotta con Latte® is an all-natural cheese. Their only ingredients are pasteurized whey, milk, vinegar, and salt. They do not use any stabilizers or fillers in our Ricotta, ensuring that you receive the cleanest, most natural flavor available. Friends, I genuinely believe that this ricotta is the best I’ve ever used. Its dense with flavor, yet light in nature. It’s texture is unlike any I’ve used, and it adds such a strong creamy component to any recipe. 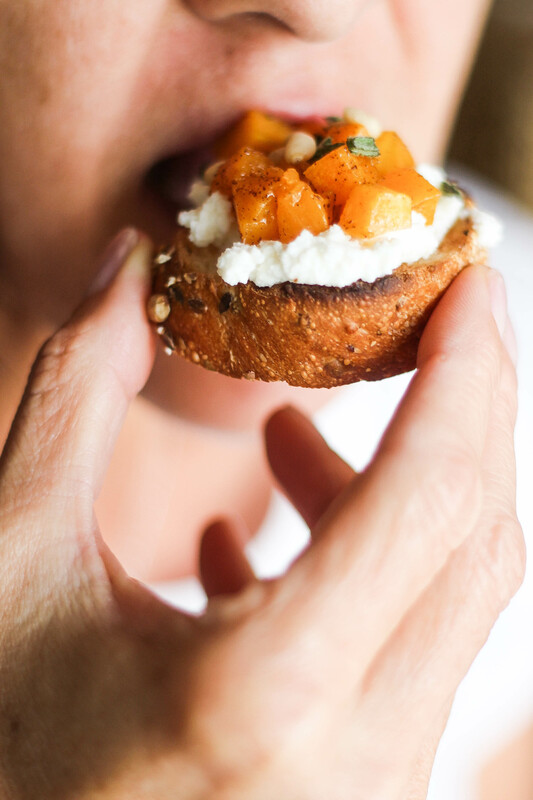 I love biting into these Bruschetta and getting that big, creamy bite of ricotta. This post was sponsored by BelGioioso. Thank you for your continued support of the brands that make The Blissful Balance possible. Place squash on a baking sheet and spread around. Drizzle with 2 tbsp extra virgin olive oil, salt, and cinnamon. Place in the oven and bake for 10 minutes, or until soft. When butternut squash is finished baking, remove and set aside. Replace baking sheet with sliced baguette. Place in the oven and toast for about 3-5 minutes. Spread ricotta evenly on all slices of baguette. 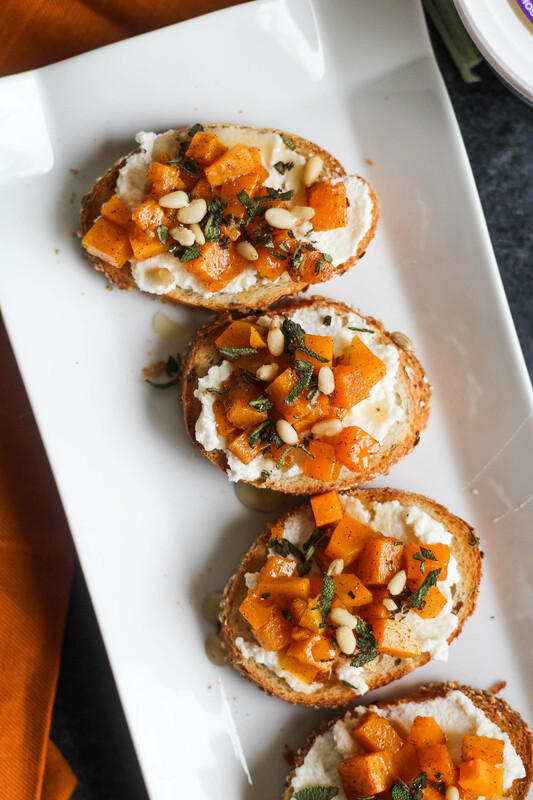 Top with squash, pine nuts, sage, and honey. Ricotta is one of my favorite things EVER. These look so fancy and delicious! Perfect for a classy holiday party! Also, I LOVED your Halloween costume. Yum! This looks super delicious! This seems like a great appetizer for all the upcoming holiday parties. Will pin for later! 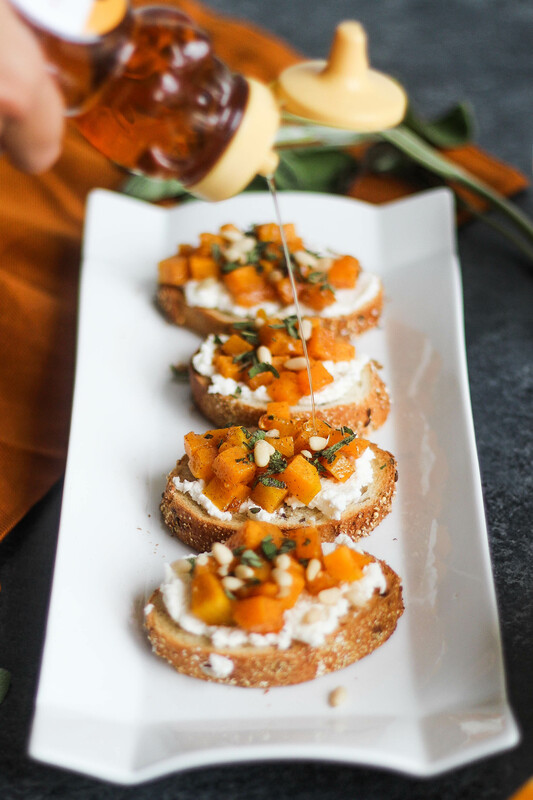 i love bite sized appetizers but they can be a pain esp when you are making for a large group…i love butternut squash in general but never made them in the form of bruschetta – sounds fantastic! Omg how creative! 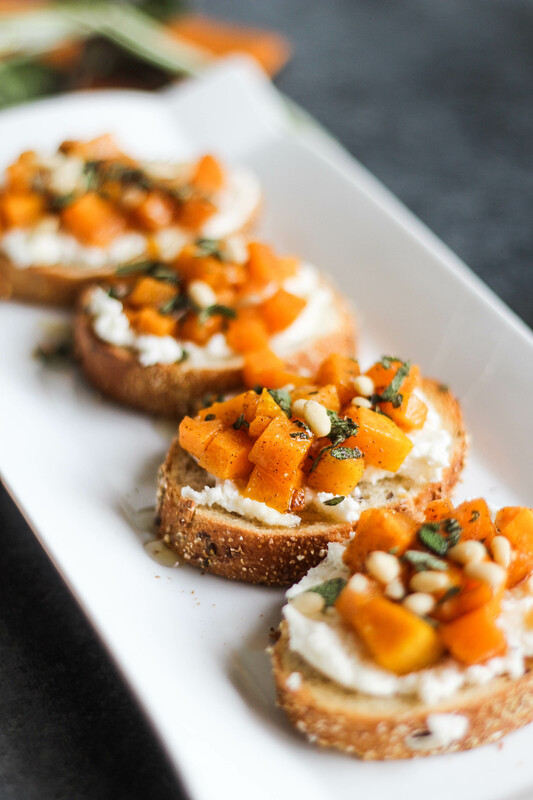 Butternut quash and ricotta are my favorite fall foods.. This looks like such a yummy dish!!! My mouth is already watering. Can’t wait to try it out. Thanks! !